"To increase the awareness, appreciation and support of arts and culture in the community of North Perth"
Scroll down to view all the events and information posted. 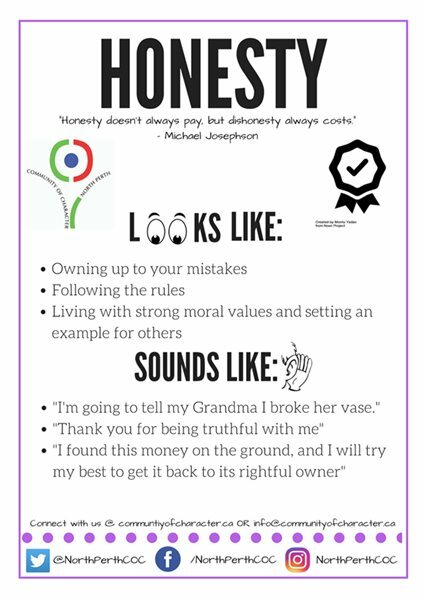 Check back often as this listing changes frequently. April brings to the Listowel branch of the North Perth Public library, a new display of art work by local artist Heather MacEwen. Have a closer look at her miniature images as well as step back to appreciate the emotional appeal of her larger works. The art remains on view in April during regular library hours. 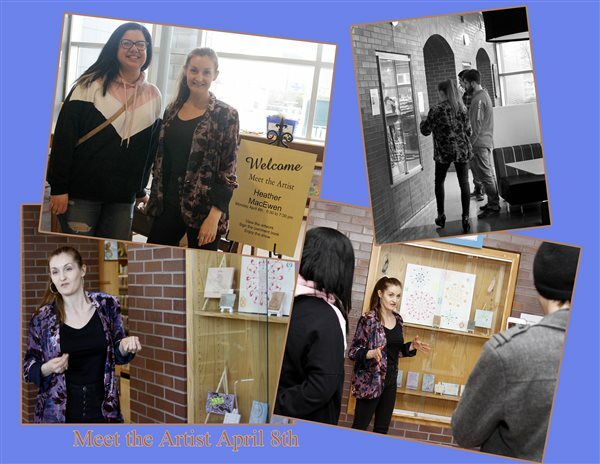 The North Perth Public Library, Listowel Branch in partnership with the North Perth Arts and Culture Council, features the works of a visual artist in the library lobby showcases, during regular opening hours. North Perth artists will be displaying paintings in all media, photography, drawing, sculpture, mixed media and fabric art. Take time to view each of the monthly displays. Learn more about the local artistic community, and see examples of their work ... many are for sale. Contact the artist directly to make a purchase, or commission an artwork. More information and contact links are available on the NPACC web site in the Talent Directory section. Dust off your camera. Fine tune your creative photography skills. 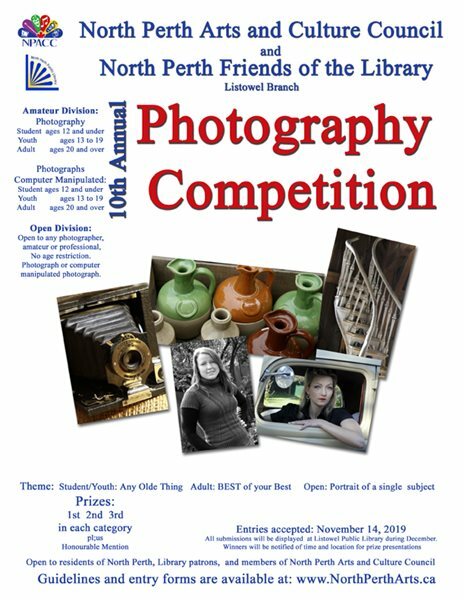 The North Perth Arts Council and Friends of the North Perth Public Library have partnered again for the 10th Annual Amateur Photography Contest. These are the categories for students and adults to enter. Cash prizes for 1st, 2nd and 3rd place entries. Local photographers of all ages and abilities are encouraged to capture images that showcase their talent, and highlight the big picture, or the smaller details. Show us, what you see. Contest entries are to be dropped off Thursday November 14th, between 6pm and 7pm at the Listowel Public Library. This gives interested photographers plenty of time during the spring, summer and early fall months to capture their images and prepare their entries. The entries will be displayed in the Listowel branch of the North Perth Public Library during December 2019. The challenge has been issued. Let your creativity and talent go wild. The Artist of the Month program at the library is building with lots of good response from the public. They like it and so do we.The North Perth Library is also pleased with the success of the ongoing monthly displays. The program is being extended and so we are asking for artists in North Perth and surroundings to commit to having their work on display. Community of Character North Perth. Come and join a group of people who like art and are interested in learning or improving their painting skills. We will meet monthly to work on individual projects of your choice. Please bring your own supplies. Registration is required to book tables/room. For those who paint at home individually or are interested in painting but don’t know where to begin, this group is a great way to experience the joy of painting. Sometimes it’s nice to get together with like-minded people. We are open to sharing ideas and to provide support while having some social time out. All ages are welcome! The group meets every 3rd Friday at the Scrapbook Shop in Listowel. It is $10.00 per person. Time: 6:30 pm - 8:30pm. Love to sing? Are you ready to go beyond the shower? Meet Joyful Voices, a new community choir that begins this fall in North Perth. We’re about having fun, and celebrating great music. well behaved, and want in on something joyful and musical, we’re ready for you! Auditions are required – it’s only fair to hear your voice and make sure you can join in part-based singing, since we hope to sound great and make an impact. Contact us via our website – www.joyfulvoices.ca – to learn more about audition times and our big picture. Professional Drawing classes (Pencil shading, water colour, acrylic, analytical drawing and portrait) -in Listowel. Evening and weekend instruction available. Students ages 4 and up. Materials supplied. Bring a photo of subject you’d like to draw. 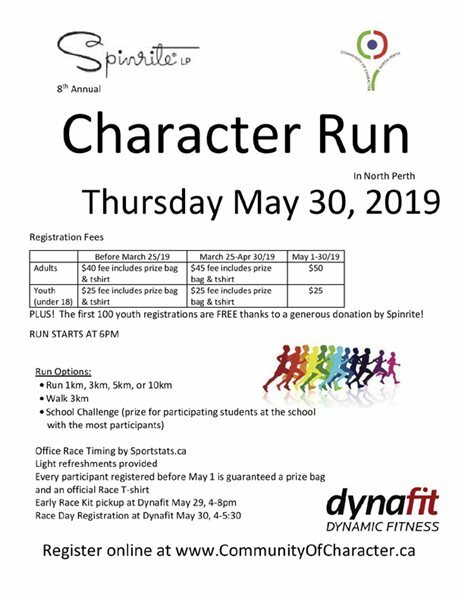 If you have any questions, or to register please contact Madhumita Jaipuria 519 418 4551. Are you interested in developing your interest and talents in watercolour, drawing, acrylic, mixed media small cards, fabric dying or sewing? Morning and afternoon classes are offered by NPACC member Donna Hirtle. For more information about her classes, contact Donna at 519 638 0888. This category is for established artists and includes artists with an extensive body of work and with a history of national and international exhibitions and/or those who have achieved a wide degree of recognition. You must have at least 15 years of professional practice in order to apply to this category. This category is for artists in mid-career and includes artists past the early stages of their professional career who have produced a reasonable body of work and may have a fair degree of public exposure. You must have at least 8 years of professional practice to apply to this category. This category is for emerging artists and is reserved for artists in the early years of their professional career who may have a small exhibition record. You must have at least 3 years of professional practice to apply to this category. This category is for those who pursue any number of genres of artistic expression for personal interest and gratification. Attending and participating in arts instruction classes, workshops and community shows is an important component in their artistic portfolio. This category is for students enrolled in secondary school art courses, or post secondary students enrolled in an art program at the college or university level. Become a Member of North Perth Arts Council today.